My husband and I were looking for a contractor to hire to add a great room addition onto our home. After meeting with what must have been eight or nine contractors we knew right away that Kevin was the one. He is punctual; professional and his project management skills were flawless. His carpenters are polite and the pride that they take in their work is just amazing! Since this project was completed we have also hired Kevin to replace the windows in our home and remodel the main hall bath in which he also did a fabulous job. Short and sweet... Kevin is awesome! He did an absolutely amazing job with our kitchen renovation. When one of our cabinets came in damaged (which is definitely not his fault) he drove to New Jersey to pick up the replacement cabinet in which kept our project right on schedule. He was very accommodating to meet us in the evening and even on a Sunday to review project details. Highly recommended!! After speaking with several contractors in regards to our master suite renovation we had come to the determination that Kevin was someone we could trust in many ways. He is very responsive, does what he says and is on site all of the time. His management skills are unrivaled and Kevin and the crew are extremely polite and the best craftsmen we have ever seen. After going through 6 renovations on other homes in other states Grace Builders is hands down the best contractor we have ever worked with and were not just saying that. He really is! Kevin is very easy going and will keep you in the loop during all phases of construction. We hired Grace Builders to add an additional bay onto our existing two car garage. We wanted the look of a low maintenance barn style and needless to say Kevin came through with an addition that compliments the style of our home as well as our personal taste. The project was completed in a timely fashion even with changes made on our end during construction. I would highly recommend Grace Builders for any project and we will undoubtedly use Kevin for our next project. We hired Kevin to finish a room and remodel part of the existing basement. We are very happy with the finished product and feel he did a fantastic job. Kevin is very hands on, completed the job in a timely manner, and was very easy to get a hold of if we had questions or needed to make adjustments to his work schedule. Overall, he did an outstanding job and we will definitely use him in the future for our next project. Kevin did a fabulous job on our basement. He meticulously matched the other details of our house in order to create a space that feels like and extension of the rest of the house rather than a basement. We have gotten a number of complements from our guests, saying that this is the best basement they have ever seen. His pricing is fair and his work ethic is great. I would highly recommend Kevin. We contracted Kevin to refinish our basement, and a re very pleased with our new space. The process was relatively easy. Any time there we re decisions to be made, Kevin was able to leverage his past experiences and present us with options, the pros and cons, and recommendations. Kevin has a very easy going demeanor, and accommodated our various requests. He also pays attention to details, which left us with a high confidence that our basement remolding would be done right. We would certainly recommended Grace Builders. Having a toddler, we wanted to create a play space for him to get his toys out of the living room. We received an advertisement from Grace Builders and called Kevin as well as some other local contractors. All provided competitive quotes and we selected Grace Builders as we were impressed by Kevin's responsiveness and also liked the examples of his work shown on the Grace Builders website. Kevin made some great design suggestions along the way - even showing us a computerized rendering of his design prior to driving the first nail. We couldn't be happier. Kevin was extremely flexible and finished the space in a very timely manner, even with our multiple additions - a beautiful entertainment center as well as a flexible design for bookcases. Kevin was even able to fulfill the request to upgrade to an oak staircase. Even the plumbing and painting subcontractors did an amazing job. Our son enjoys the expanded play area as do we, wit h the toys out from under our feet. The new finished space matches the design feel of the rest of the hours, is a comfortable play area and has the added advantage of additional entertainment space. After our successful basement project, we next hired Grace Builders to replace our original 10' x 12' wooden deck with a new and bigger PVC deck. Again, Kevin had some great design ideas and suggestions. He was able to work with the challenges of the property - having to make adjustments for the slope of the property and the large unknown ledge rocks that altered the foundation requirements. We now have an outdoor sitting area that we use regularly during the warmer months for family meals and relaxation in the outdoors. Grace Builders is a quality contractor. Kevin has great design suggestions and has proven to be very responsive to the needs of the homeowner. 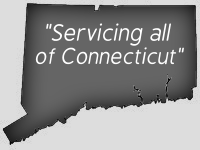 We feel confident in Kevin's abilities and would recommend him to others looking for a quality contractor providing services at a competitive price. Without hesitation, we recommend Grace Builders to anyone looking for these types of services.